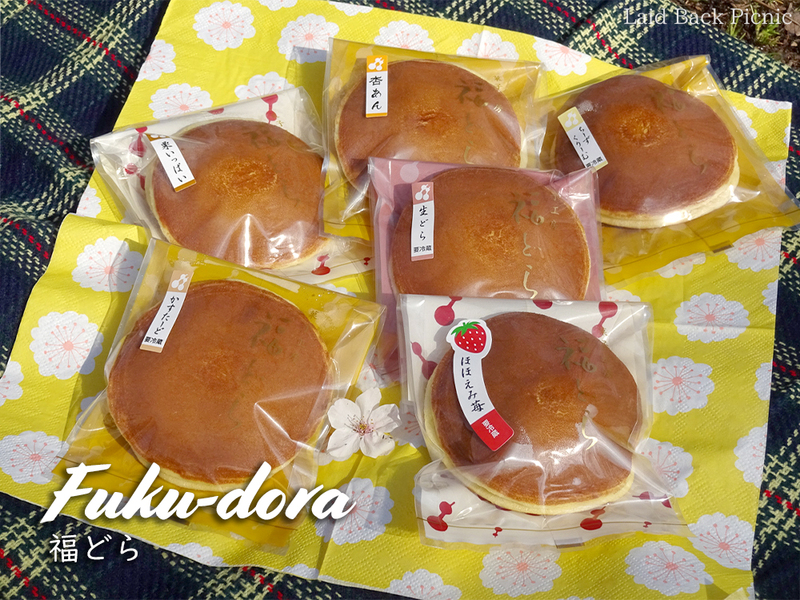 Near Sumiyoshi Station on the east side of Tokyo, there is a shop where DORAYAKI is sold a lot. 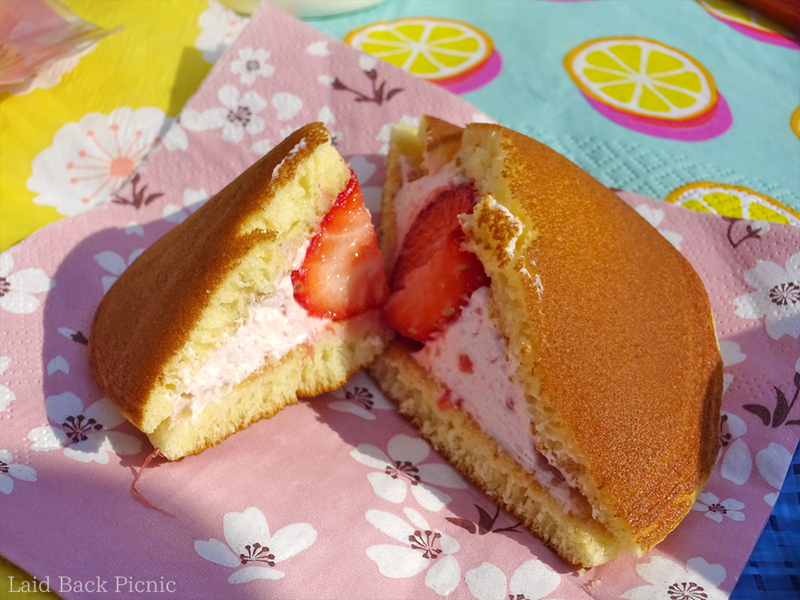 It is a place near "Sarue Onshi Park" where I had a Hanami picnic. Do you know the Japanese anime Doraemon? 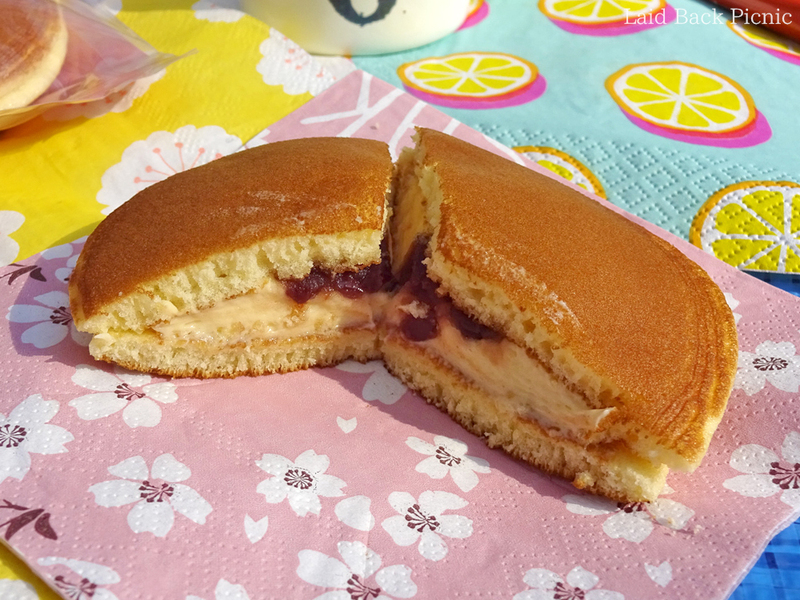 When I ate this DORAYAKI, I was to smile. 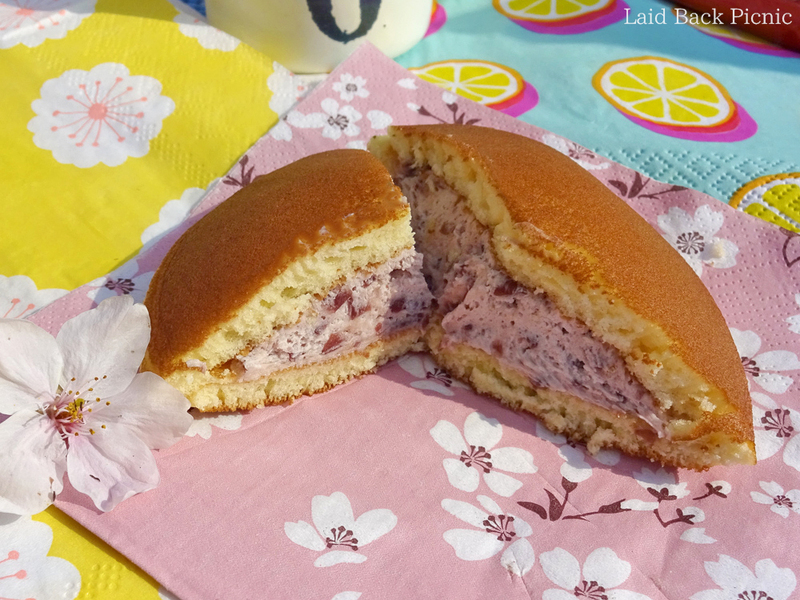 Recommended if you like Anko (red bean paste). 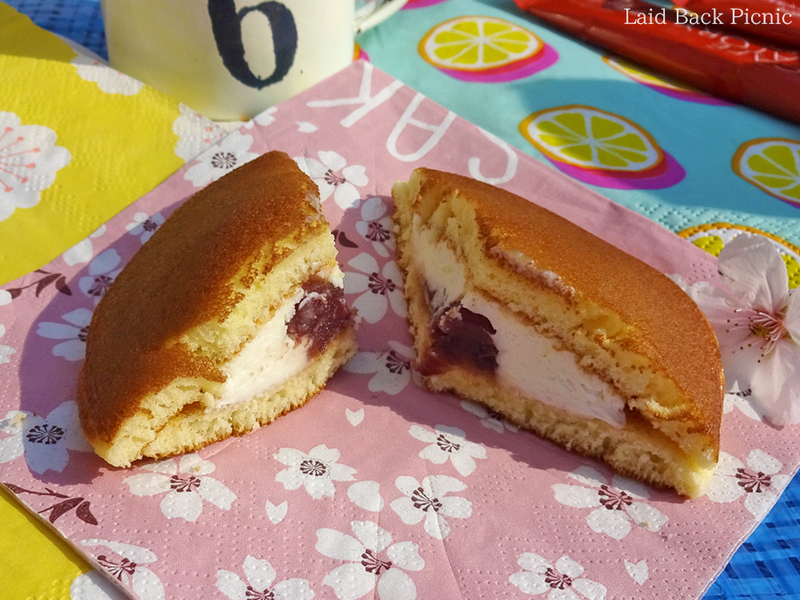 Cream cheese is not sweet but anko (red bean paste) is sweet. 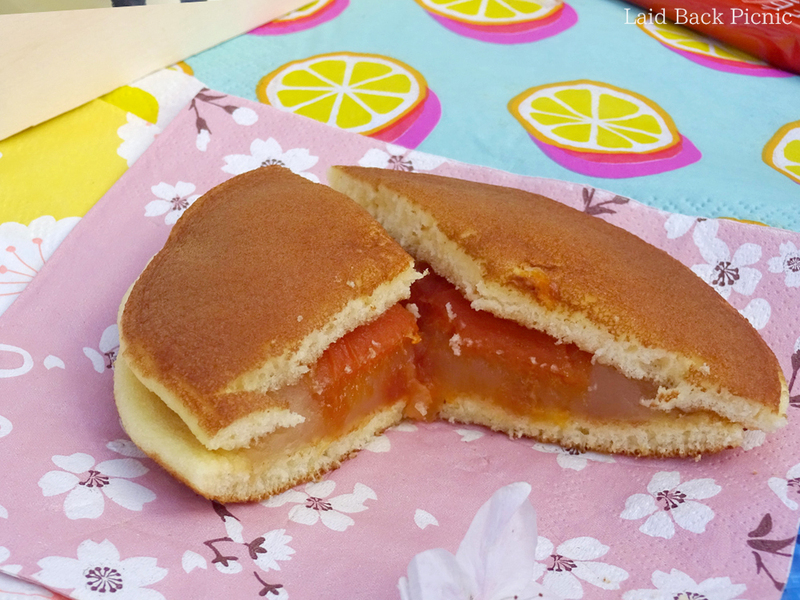 The sweetness of white bean paste and goes well with the sweet and sour taste of apricot. Tell me your comment after eating it. 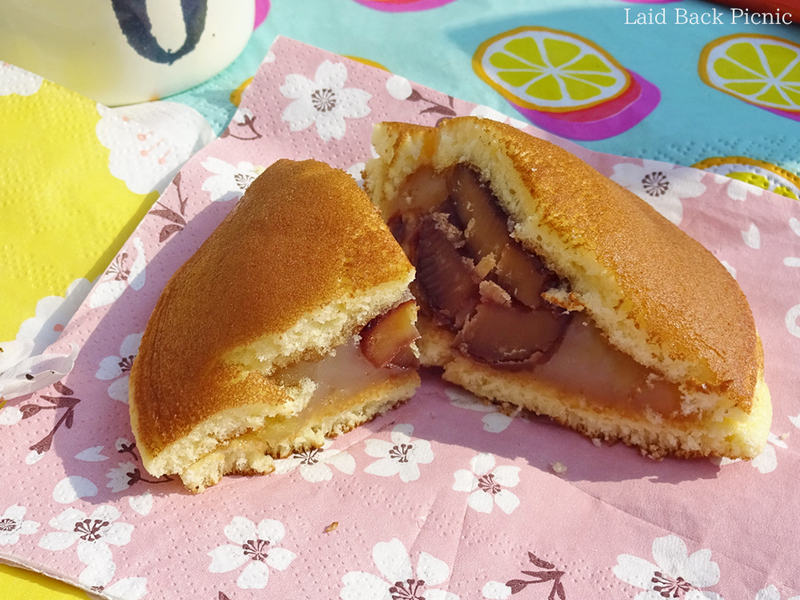 *1:DORAYAKI：Two small pancake made from castella wrapped around a filling of sweet red bean paste.